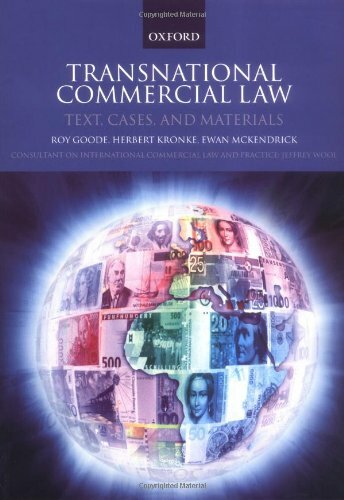 9780199251667 | Oxford Univ Pr, August 16, 2007, cover price $120.00 | About this edition: This volume contains a collection of all the major transnational commercial law instruments relating to commercial contracts, interspersed with explanatory linking text which identifies key issues covered by the instruments. 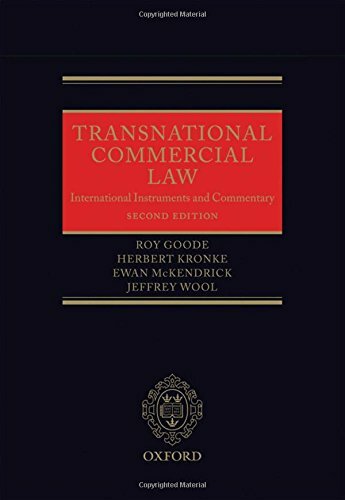 9780198735441 | 2 edition (Oxford Univ Pr, November 24, 2015), cover price $85.00 | About this edition: When the first edition of this student work was published some eight years ago transnational commercial law, introduced as a postgraduate course at the University of Oxford in 1995, was taught at a relatively small number of law schools. 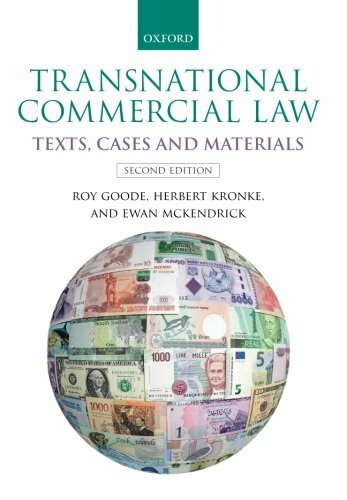 9780199582860 | 2 edition (Oxford Univ Pr, May 23, 2012), cover price $375.00 | About this edition: Transnational commercial law represents the outcome of work undertaken to harmonize national laws affecting domestic and cross-border transactions and is upheld by a diverse spectrum of instruments. 9780199251674 | Oxford Univ Pr, December 23, 2004, cover price $325.00 | About this edition: This volume contains a collection of all the major transnational commercial law instruments relating to commercial contracts, interspersed with explanatory linking text which identifies key issues covered by the instruments. 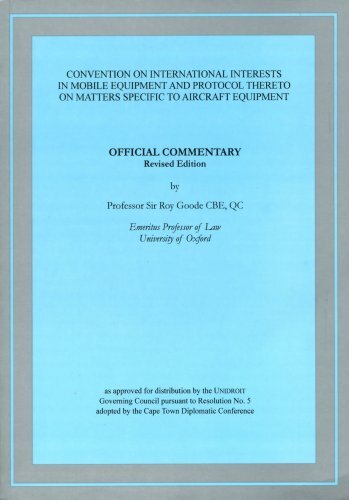 9788886449182 | Revised edition (Unidroit, June 1, 2008), cover price $404.00 | About this edition: The 2001 Cape Town Convention on International Interests in Mobile Equipment and Aircraft Protocol represents one of the most ambitious and imaginative private commercial law projects ever to have been concluded. 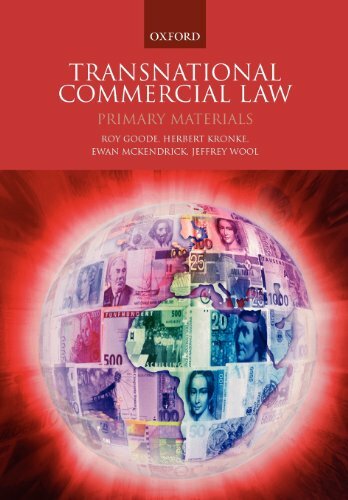 9780199287079 | Oxford Univ Pr on Demand, August 16, 2007, cover price $120.00 | About this edition: This companion to Transnational Commercial Law: Text, Cases and Materials contains up-to-date primary materials for students without linking commentary. 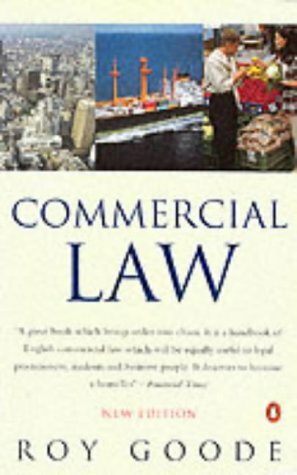 9780140125344 | Penguin Uk, June 1, 1999, cover price $100.00 | About this edition: Looks at the theory and practice of commerical transactions, analysing fundamental principles, hitherto insufficiently explored, and covering concepts of property law and equity. 9780198260813 | Clarendon Pr, July 31, 1997, cover price $150.00 | About this edition: Edited by eminent banking law scholar Ross Cranston, this is a collection of essays written in honor of Roy Goode, the Norton Rose Professor of English Law at Oxford and highly esteemed commercial law scholar. 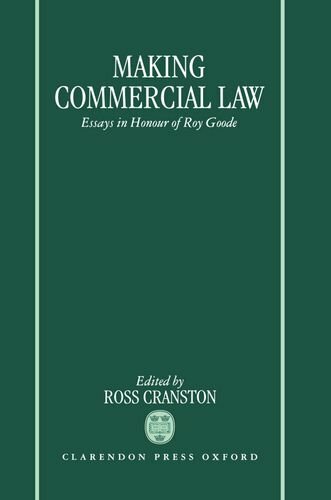 9780198257141 | Oxford Univ Pr, July 1, 1993, cover price $95.00 | About this edition: This collection of essays forms the nucleus of proceedings at the Fifth Biennial Meeting of the International Academy of Commercial and Consumer Law.